There are situations when customer needs to broadcast mass email for informing users about an oncoming events or there is a new functionality being rolled out and this needs to be communicated to the concerned users. There are other blogs where Sandip mentioned about using the document generation for the same motive. I am trying to provide another way of accomplishing it using Alerts on MDF objects. Its is very easy to configure and hopefully will help customers in providing an option for informing users for an upcoming events along with Custom Tiles, Document Generation etc…. So Let’s see a step by step approach how we can accomplish it. 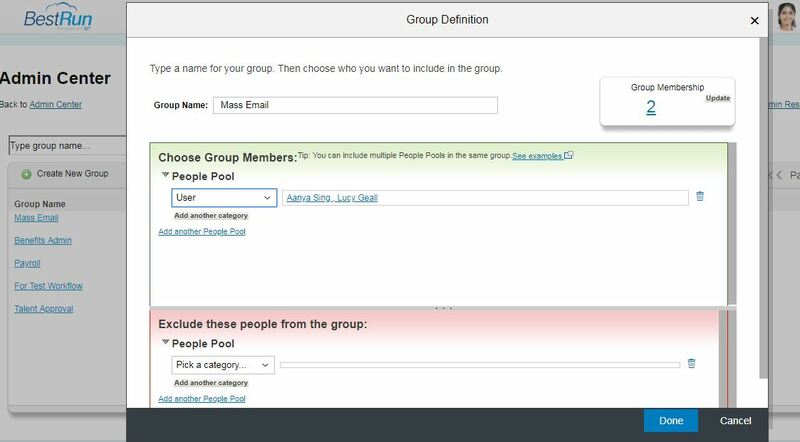 Steps 1: Create a custom MDF Picklist for listing down different scenarios in which you want to sent mass email. 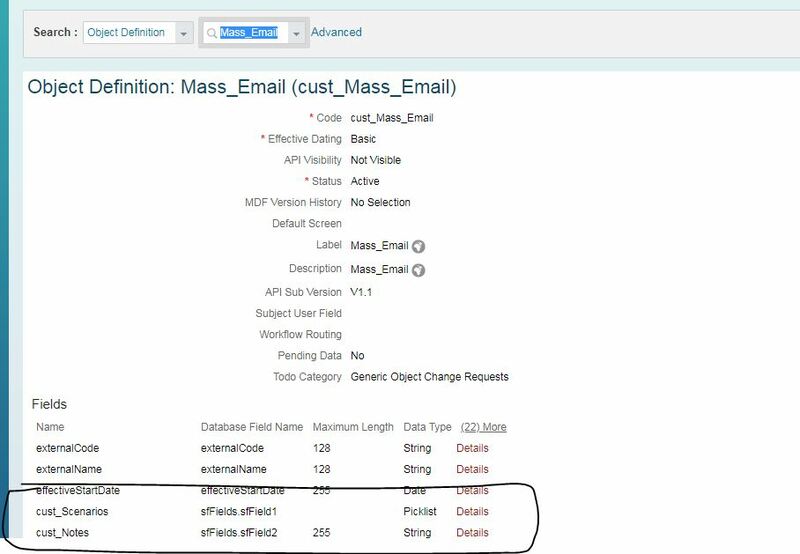 Step 6: Now we need to put a trigger for mails to be sent off using business rules on the MDF object we have created in step 2.
here we need to put in the condition as per our business requirements and define the date for the email to be sent as Alert Due date in Execute Function. We are all set for the mass email to be sent thoguh I have only 2 people in my workflow group but you can define as many as you want and based on your requirement too. 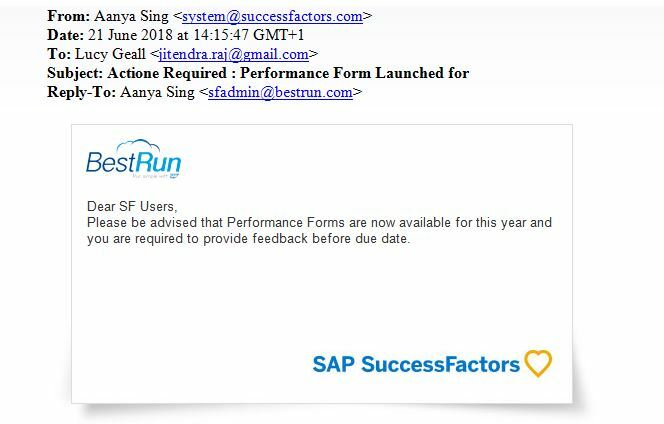 I am trying to sent reminder to a particular set of users on a specific date after we have launched our Performance Forms to act on them. 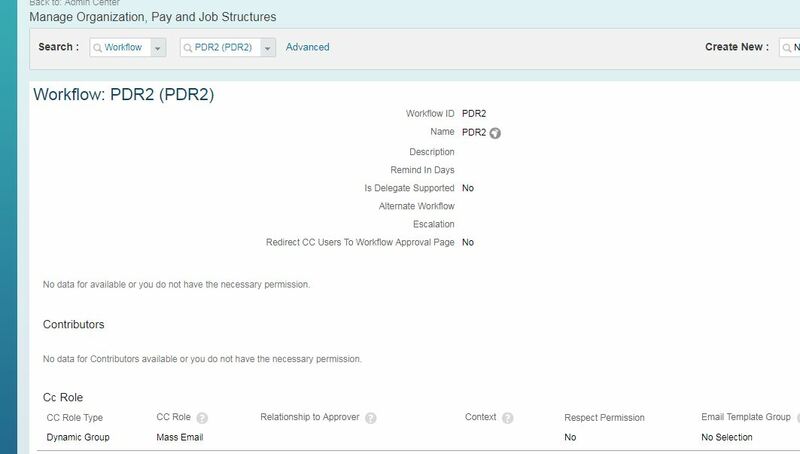 When i created the MDF object entry matching the conditions in the business rules, the Email Alerts are sent to the users in the workflow groups maintained. and user gets an email having message defined in the Alert Message. For objects which have a Parent/Child Association the Business RUle should be configured with the Parent Base Object and also triggered on the Parent Object. 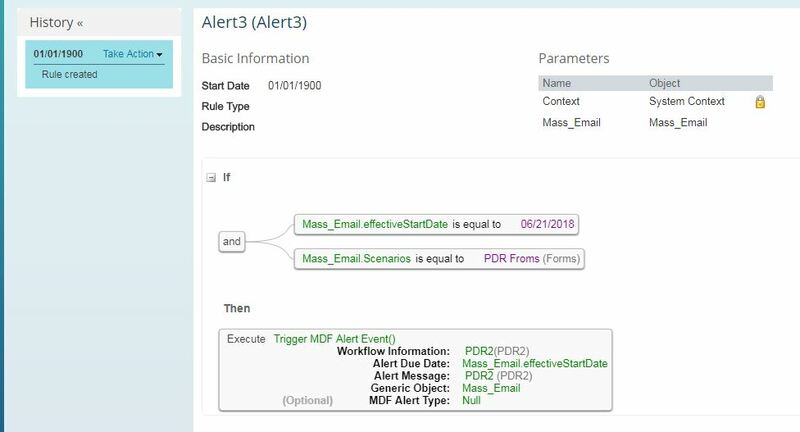 Make sure you use a different Alert Type (by maintaining multiple MDF Alert Type values) to avoid the scenario where multiple alerts with the same Alert Type will overwrite eachother, else each rule will override each other and the alert rule which triggers last will be executed only. The “EC Alerts and Notifications” job must be scheduled and running in the instance. We dont need the Alert parameters defined for MDF Alert rules, only EC Alert rules. Alert message supports various email Tags and java scripts tags as well so we can further customise our email messages accordingly.